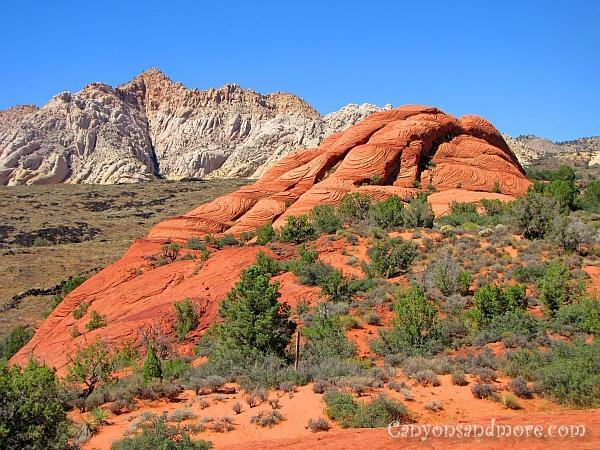 St. George in Utah is a great place to stay if you want to visit Zion National Park and the Bryce Canyons. 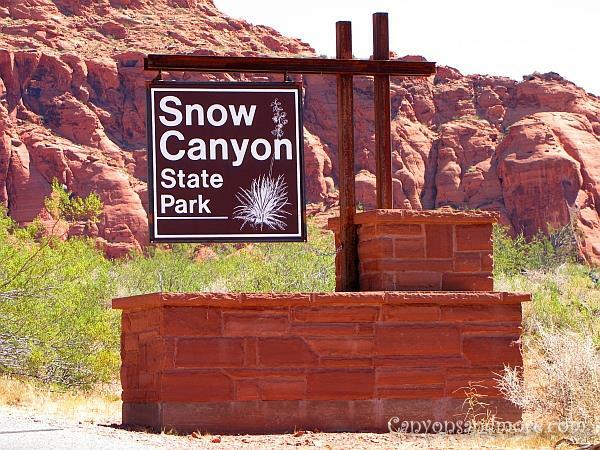 And just around the corner from St. George, about 15 kilometers north of the city is the Snow Canyon State Park. The park is full of geological treasures such as fascinating rock formations and breathtaking landscapes such as sand dunes, lava flows and even a slot canyon. If possible spend a whole day at the park. There are hiking trails all over to guide you through the fascinating countryside. The drive through the Snow Canyon State Park takes you through remarkable landscapes such as the one in the image above. The area itself is not as large as some of the other Utah state parks, which is fine! It gives you actually more time to enjoy the attractions found here. It is easily possible to spend a whole day here if you are the type of person who likes to get out and hike. 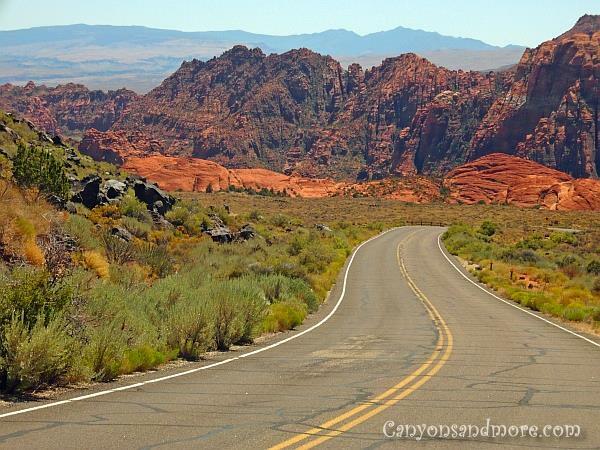 The Snow Canyon State Park near St. George, Utah is not too large and perfect for a day trip. You have the possibility to spend more time with each attraction and it is easy to stay the whole day there. For the $6.00 entrance fee, it is well worth the money! It is possible that there is no attendant at the pay booth but there are envelopes for you to enclose the money and keep a stub proving you paid. There is also a small illustrated brochure available at the pay booth informing you about what awaits you at the park. The winding road through the canyon landscape takes you through several types of rock formations in all colors and textures. 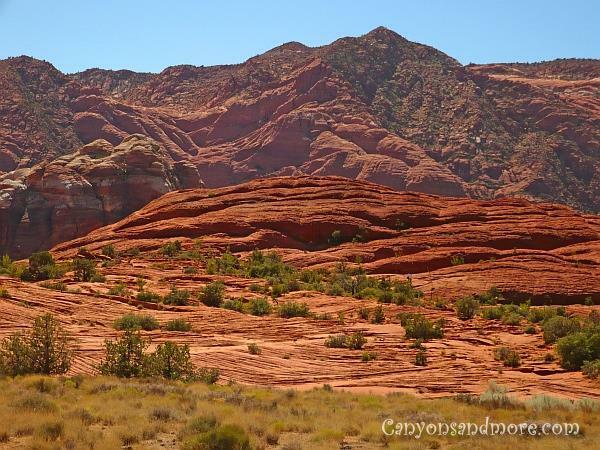 When you continue driving through the Snow Canyon State Park you will notice many different types of rock formations. There are numerous stops to get out and admire the scenery. It is actually amazing how many distinctive rocks and formations can be found in such a small area. 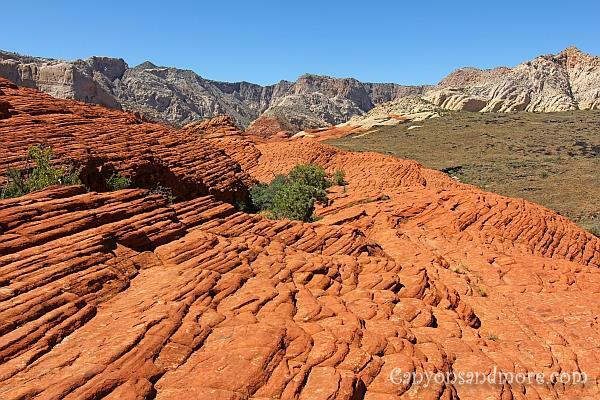 In this park, you will not only find gorgeous redstone cliffs, but there are also volcanic cones, lava flows, sand dunes, a slot canyon, white sandstone mountains and layers over layers of twisted rocks. Hiking trails all over the park make it easy to enjoy seeing the countryside. 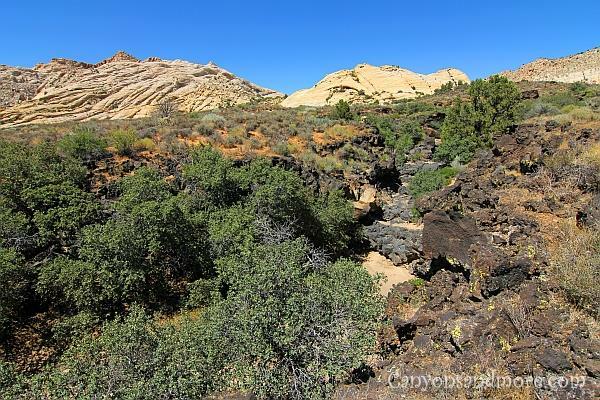 Sand dunes can also be seen from the parking area close to the slot canyon and there is a parking area for handicapped close by as well as a second parking area for other vechicles a piece further down the road. The sand dunes in midst the canyon landscape are just one of the many attractions of the park. It is not a very large area but enough to get enjoy the feeling of the hot desert sand. 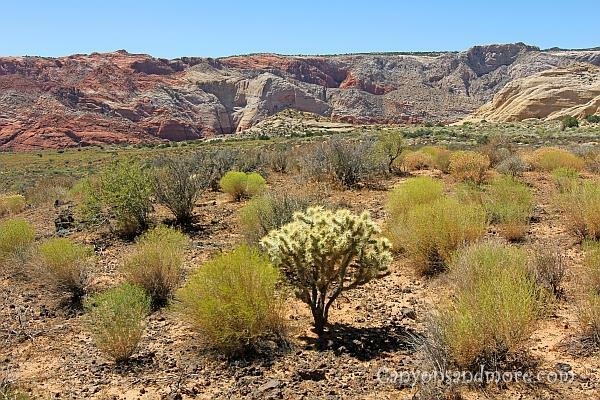 The vegetation adds a touch of desert like beauty to the canyon landscape. Layers of rock make this formation look extraordinary. You will find many similar rock formations at the park that are easily accessable to discover and explore. Antelope Canyons near Arizona are probably the most famous of the slot canyons. 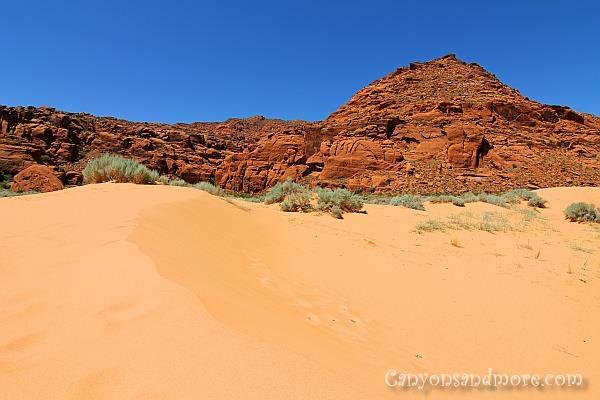 But if you are in the area of St. George, Utah do visit the Snow Canyon State Park. One attraction that is really recommended is called “Jenny’s Canyon”. It is a well hidden slot canyon close not far from the entrance on the south side of the park. There is a parking area called “Jenny’s Canyon Trail” and from there you will follow the sign and the natural markers found on the ground. Just when you think you cannot go any further, the canyon is sort of hidden towards the left and you have to climb up a couple of rocks to reach it. You hardly recognize the entrance as being one as it is well hidden behind some brush. 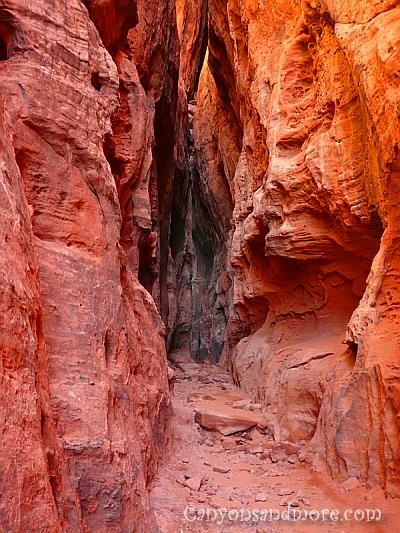 Once inside you can enjoy the view of this remarkable slot canyon. Even when the outdoor temperature that day is 40° celcius, once you enter this slot canyon, it seems to drop about 15°. It was so cool and comfortable within the walls. You can really take your time and enjoy the details and admire the natural setting of this attraction without being rushed. It is not as deep as the Antelope Canyon, either and the walls are not as soft looking. But it is gorgeous and impressive just the same with its own kind of natural beauty. The details of the canyon walls are fantastic. 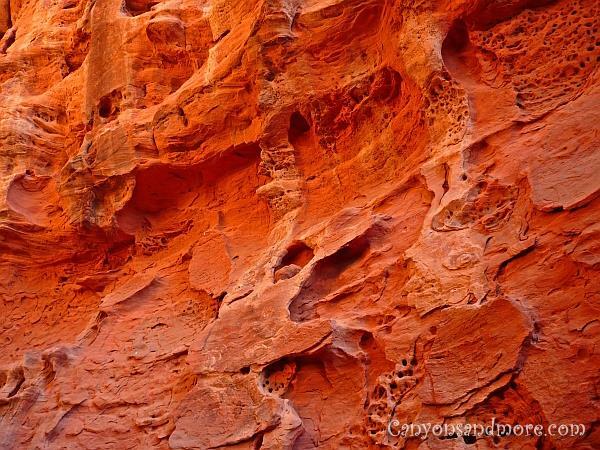 The walls of the canyon are fascinating with its gorgeous layers of colors and textures.